One hundred grams of shelled hemp seeds contain 45 grams of total fat, of which 3.3 grams are saturated. These fats contain a perfect balance of omega-3 and omega-6 fatty acids, which are essential polyunsaturated fatty acids that the body needs in large amounts but can't manufacture itself (meaning one has to obtain them from dietary sources). Consuming these fatty acids has been linked to improved memory and cognition. Moreover, according to a review published in Nutrition & Metabolism in 2010, the fatty acids found in hemp seeds have the ability to boost platelet aggregation and protect against coronary heart disease. Given their high protein concentrations, it's unsurprising that studies are now linking hemp seeds to significant anti-fatigue benefits. For example, a study published in the Journal of Hygiene Research in March 2008 found that mice which were fed hemp seed protein could swim for a much longer time than a control group. The researchers, who were from China, also discovered that the protein possessed immune-boosting properties and was able to reduce lactic acid in the blood (lactic acid is the acid that regularly accumulates in the bloodstream, often leading to muscle soreness). Since most seeds (hemp or otherwise) tend to be consumed for their high concentrations of fat and protein, people often forget that they often contain surprisingly large amounts of essential minerals. 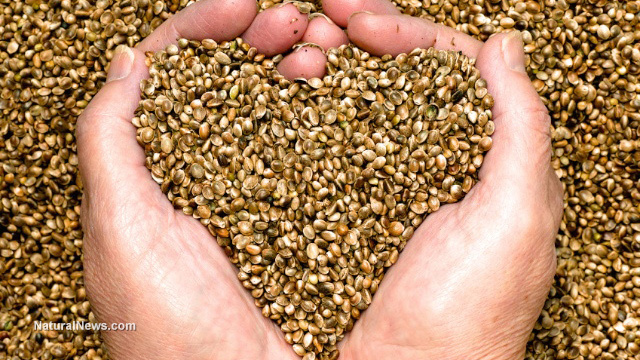 In the case of hemp seeds, those minerals happen to be iron, magnesium and zinc -- three nutrients in which the American population are particularly deficient. Deficiencies in magnesium are particularly widespread and can lead to anxiety, insomnia, restless leg syndrome and other stress-related symptoms. Consuming a handful of organic hemp seeds on a daily basis, however, can correct a good number of these deficiencies, thereby alleviating the need for related supplements.